Vogons are an alien race known for creating extremely bad poetry. Described by the Hitchhikers Guide to the Galaxy as ‘not evil, just bad-tempered and bureaucratic’ they are responsible for having the 3rd worst poetry in the world and using this to torture people. On November 16, come to The Moon for a celebration of the all bad poetry we’ve all written and kept locked away, and most toe-curlingly awful, so-bad-it’s-almost-good rhymes found in Singapore. Come join our open mic and bring your awful teenage angst-poems, hilariously bad haikus, your sloppy sonnets, your wretched rhyme schemes, your vomit-worthy verse….and you get the idea. But come at your own risk! 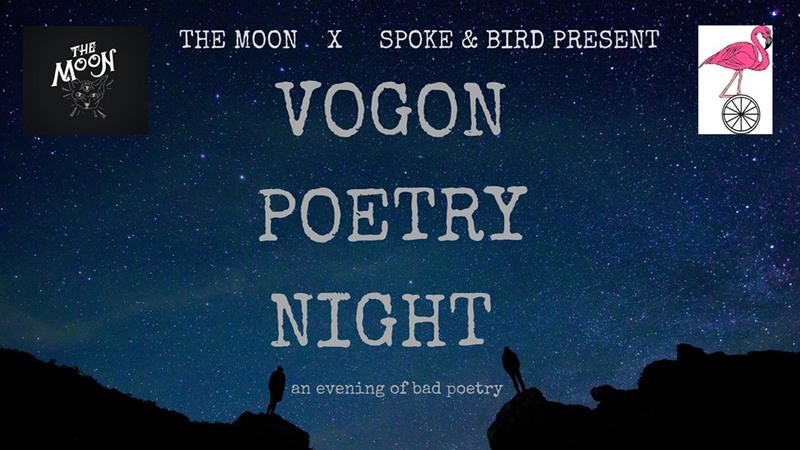 People at Vogon poetry readings have been known to gnaw their own legs off. Open micers get 5 minutes. Sign up below!